Edwardian S 4: separates continued. Because no two whites are the same, we suggest pairing a white with a colour. Pigeon-breast styles should be worn loose about the bust. In Victorian Britain, when women couldn't inherit property, economic survival meant that a widow had to dress to draw attention to herself, in the hope of re-marrying as soon as society would allow. Young girls, who were expected to dress demurely, sometimes complained of unfair competition! Esh14 S-M Black. B 88 (should be worn loose), W 68, length 43cm, sleeve 44cm, circumference of collar 35cm. Silk. Lined. Winter or mid-season. 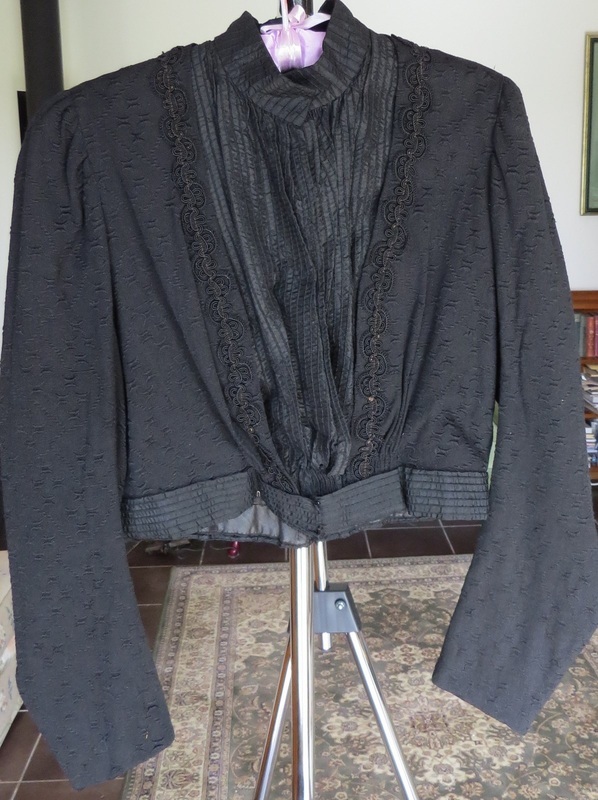 Said to be 1850s but the excellent condition suggests it is late Victorian (otherwise we wouldn't suggest wearing it). $110. Esk11. S. Waist about 60cm, length 106cm. 1890s. Sheer black organdie silk, with inserts of netted tulle embroidered with flowers. Photographed over white petticoat. $120. Esk4 Cotton. Waist 64cm. 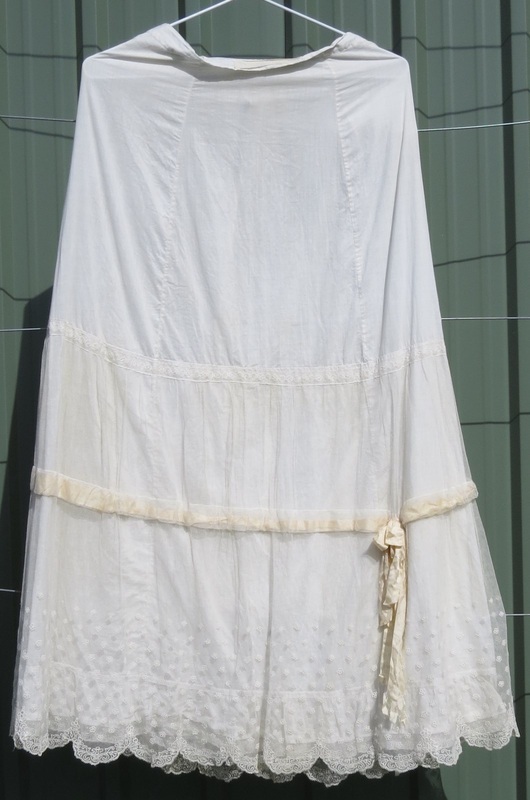 Petticoat-skirt. $50.